Over the last couple of years MS has stolen the dexterity from my fingers. Years ago I tried to teach myself touch typing with no success. My finger tips are numb, thanks MS, so I can’t feel the bar on the keyboard for the letters J and F. I struggled on, typing was horribly erratic then someone suggested Dragon dictation software. It has improved my quality of life and writing blogs is an even bigger pleasure. It is a brilliant piece of software that saves me hours of typing. A must have for anyone who struggles with a keyboard. I speak and the written word appears on the screen, it’s almost magic. I am still at the beginner stage but to me even this is a huge leap forward. Eventually I will get smarter but one step at a time. MS has not made me a different person but I need to live differently in order to cope with the disease. My typing skills have never been very good and just recently they have changed to atrocious. Putting together the blog posts lost all its fun. I spent too much time correcting silly typing mistakes. I only discovered Dragon Dictation Software a few months ago. If you stop and think for a moment using a keyboard to type words is not very natural. The QWERTY keyboard was originally designed for manual typewriters and started life in 1874. That’s over 140 years without progress. My natural mental thoughts and flow of words were lost in typing. When I use dictation software the words read much more naturally. Using the Dragon dictation software really is a piece of cake. So I don’t use it to anything like its full potential just taking away the manual process of typing is a big relief. There is a learning centre where you can develop your skills and this comes with the software package. 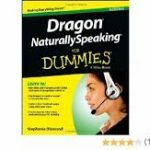 The book is very informative to get to know dragon speak. I am a bit old-fashioned and quite like to browse through a manual. Its the feel of paper so I lashed out and bought a Dragon For Dummies book. I prefer to browse through it and pick up tips here and there rather than slog through computer tutorials. Recently I witnessed my MS consultant laboriously typing my medical notes into a computer system. I mentioned Dragon to him. He knows a lot about MS but his typing skills are atrocious. One finger stabbing while hunched over the keyboard. I told him that he really could be much more with the efficient if he learnt how to use the Dragon diction software. ‘I know’ he said and left it at that. The Dragon dictation software dates back to the old BBC personal computers. It now runs on Windows and the Apple Mac. 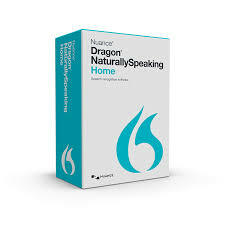 Obviously you can use it for dictation but it can also be used to browse the Internet control your desktop and even the control applications such as Outlook and Word. I am slowly learning how to get more and more out of my Dragon. In the meanwhile I am very happy just using it for dictation but I still need to use the keyboard for very specific changes. I know I will get better but only as and when I need to. I Dragon-dictated my PhD thesis 15-20 years ago and, even then, it learned what I was on about – to the point where it would flawlessly transcribe sentences that were largely composed of computer acronyms. These days I no longer own Dragon Dictate. Perhaps I should. I find the abilities of MacOS and Windows, in regard to speech recognition, quite woeful. Android is good though. The Cloud really helps this as it adds “collective wisdom” to the natural language comprehension project. Thank you, Patrick, for that knowledge nugget about the BBC micro – I had no idea! I have barely scratched the surface of Dragon dictate but I love it. Dragon for Dummies is also a good guide book that you can dip into for bits of useful info. Dragon is very flexible and knocks the opposition into a cocked hat judging by other people’s comments and information from friends. I attempted to use Dragon about ten years ago when my MS was in the early stages. It struggled to understand me. Since then my speech has become more slurred and hard to understand. I am fortunate that I learnt to type as a journalist and although I struggle a bit now, I still use at least eight fingers. However, I fear that I am getting worse as MS and old age overtake my brain. Time for another attempt at Dragon? My typing is abysmal and using Dragon means that the end product on the computer flows better. A lot has changed in the last ten years especially in the world of computers. 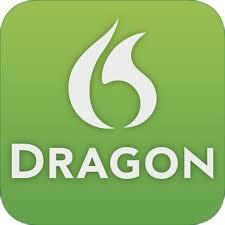 I really do think it worth having another go using the new version of the Dragon software. Thanks, Patrick. It makes sense to give the new version a go, now, when I can ‘tame a dragon’ without the pressure of failed health frustrating me.